Feelings of love, loss, and lust; these universally-felt emotions are the perfect material for musicals. Valentine’s Day is a prime opportunity to visit the theater and indulge in all matters of the heart. Whether you’re single, taken, or somewhere in between, these musicals (playing in cities nationwide) are just the thing for a special V-Day outing. Based on the film of the same title, Honeymoon in Vegas is a light-hearted, comedic affair with a snappy score, plenty of slapstick humor, and a chorus of sky-diving Elvis Presley impersonators thrown in for good measure. Tony Danza and Chaplin star Rob McClure lead the cast as Vegas kingpin Tommy Korman and Brooklyn boy Jack Singer, respectively. 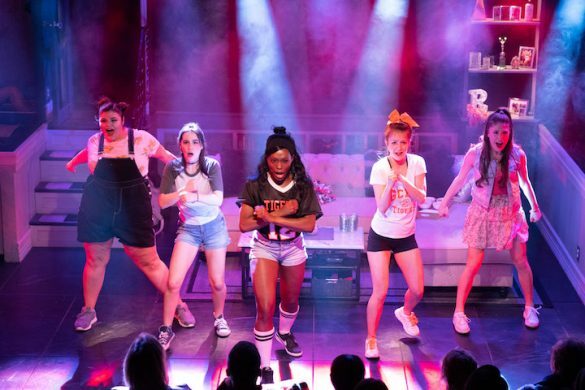 Jason Robert Brown’s score, reminiscent of both classic Broadway tunes and flashy Vegas floorshows, is a perfect fit for Andrew Bergman’s original laugh-a-minute playbook. Charming up until the minute the curtain drops, this brand new musical is perfect for a V-Day celebration. There are hundreds of ways a blind date could go wrong—fortunately for audiences, this production takes the all the sweaty palms, nervous chatter and awkward silences in stride. Finding fertile, if somewhat overly familiar ground in the concept of two lively city-singles looking for love, the musical manages to establish an appealing rapport between the two hapless single stars. I won’t give away too much, but for those on dates of their own, it’s good to know that the blind daters (Charlie Lubeck and Dana Parker) eventually find their way to a passionate kiss. Opening just in time for Valentine’s Day at Chicago’s Royal George Theatre! 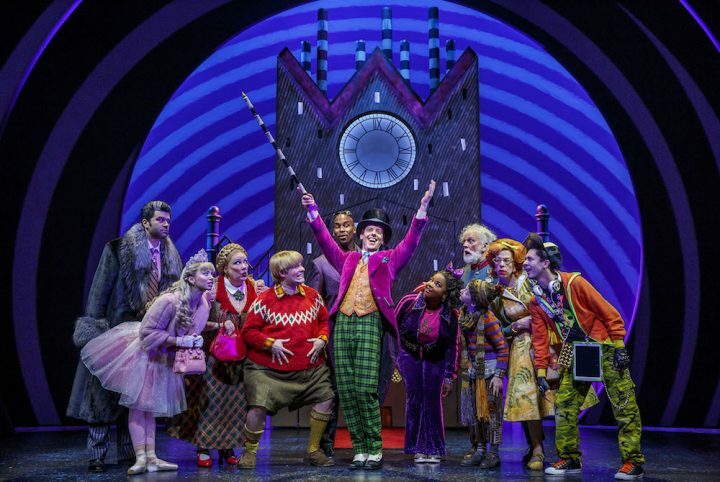 The classic film hits the stage in this showstopping musical adaptation. With a playbook by original screenwriter Eleanor Bergstein, the theater production remains faithful to the filmic version beloved by young and old audiences alike. The love story between suave dance instructor Johnny (Samuel Pergande) and youthful Frances “Baby” Houseman (Jillian Mueller) is both a coming-of-age tale and celebration of dance. 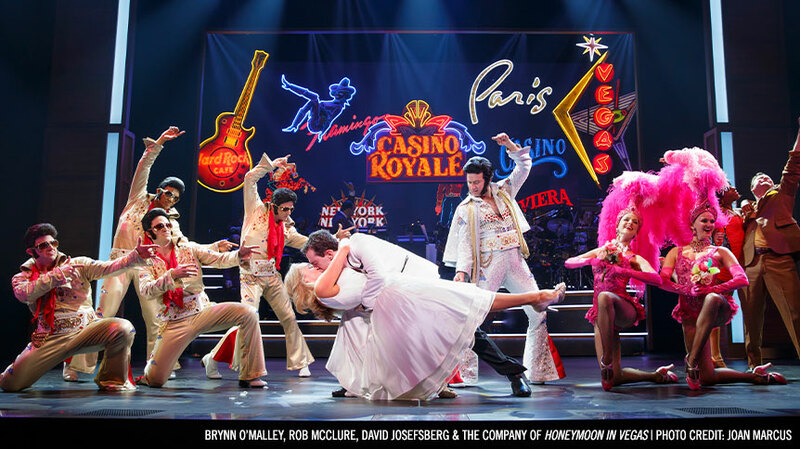 The live recreation is essentially a reproduction of the film on stage, delivering a sense of nostalgia for the days of staying up late to watch Patrick Swayze romance Jennifer Grey to the strains of this classic melody. The production is part of a 30-city tour, with performances in Costa Mesa until February 15. While the film version of the smash hit novel that toppled Harry Potter as the bestselling book of all time is about to hit cinemas nationwide, this stage spoof sold out across the county before arriving in New York City. Not for those under the age of 18, this musical parody promises racy jokes and other amusing observations about what goes on between the sheets. The music is a funky, filthy mix of surprisingly danceable numbers by a team of six creative writers. Put to the task of “beefing up” the original plot by E.L. James, they admirably succeed with just the right level of risqué. Beth Kelly is a Chicago-based freelance writer and blogger with a bad film addiction. She graduated from DePaul University before spending several years abroad teaching English. Her primary interests include pulp cinema, analog photography and antique Chinese flower paintings. Follow her on Twitter at @bkelly_88.